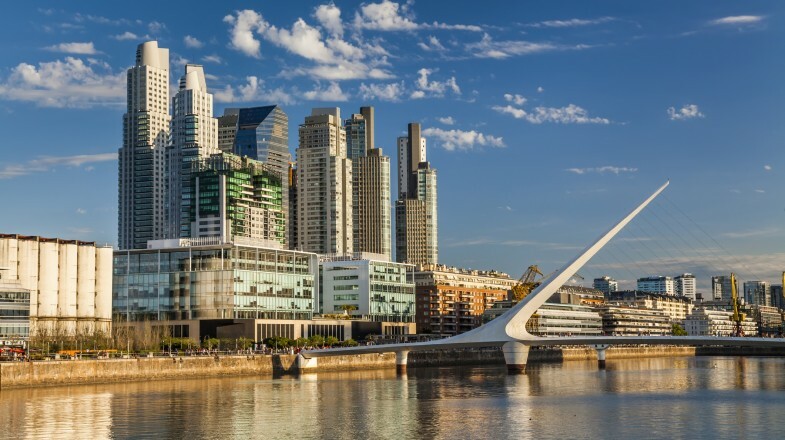 The sprawling capital and largest city of Argentina, Buenos Aires has long been an attractive destination for travelers of all ages, budgets and styles. Home to tango, wine and romance, the city is known for its jaw-dropping architecture, historic sites, stunning beaches and supercharged nightlife. 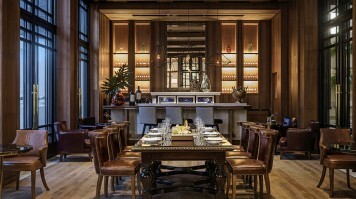 With so much to explore and savor in Buenos Aires, it is wise to set up a good base when you are here. Here are our picks of the five best hotels in Buenos Aires (in no particular order) to help you decide where to stay the next time you are in the city. 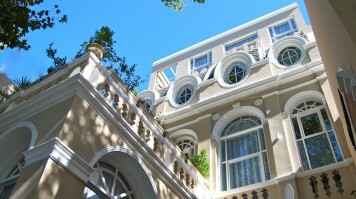 This hotel is where modern convenience and classic charm meet and blend seamlessly. Housed in a heritage building, Rendez Vous Hotel Buenos Aires has been decorated to follow Feng Shui principles and each room promotes a harmonious flow of nourishing energy. Rooms at the Rendez Vous Hotel have chic marble bathrooms and modern flat-screen TVs for guests to luxuriate and relish in. 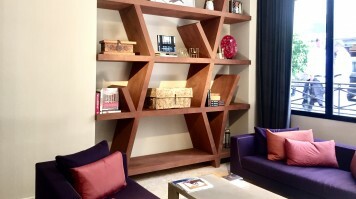 Ideally located at the heart of Palermo Hollywood, it is surrounded by trendy restaurants and stylish shops, and is just a short walk from Cortazar Square and the famous Palermo Flea Market. When not exploring the city, relax on the sun terrace, take a stroll through the hotel garden, or indulge in a glass of wine at the in-house restaurant. Great for couples, this charismatic hotel is perfect for travelers interested in exploring Buenos Aires’ legendary culinary and nightlife scenes. 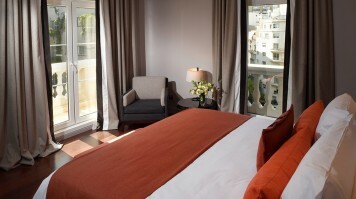 Alvear Icon Hotel & Residences is a modern and luxurious property, and one of the best hotels in Buenos Aires. Made up of 159 rooms, each suite is tastefully decorated and features a comfortable bed and spacious seating area. Less than a half-kilometer from the Puerto Madero Waterfront, this hotel is close to both the famous Plaza de Mayo Square and Cabildo. Throughout your stay, enjoy a full fitness centre as well as luxurious wellness features including an indoor pool, sauna and steam bath, perfect for relaxing after a long day of sightseeing. For one of the best views in the city, head up to the Crystal Bar on the hotel’s 32nd floor and prepare to have your mind blown as you take in panoramic views of Buenos Aires and beyond! 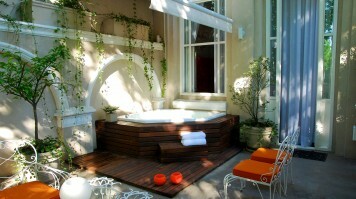 A charming and contemporary Buenos Aires hotel, Carles is located just a short walk from the famous Colon Theatre. 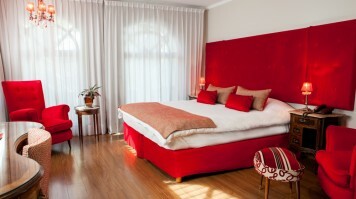 This four-star hotel is definitely a great base for exploring the very best sights, sounds and tastes of the capital. Expect cozy and comfortable rooms, complete with all amenities necessary for a great stay. Enjoy flat-screen TVs, sophisticated décor, and eye-catching views from your own private oasis in the city. The Carles Hotel also has a sun terrace and fitness centre, as well as a hip and relaxing on-site bar, perfect for winding down after a day in the city. Surrounded by delicious restaurants and great architecture, there’s no better place to enjoy a quality and pleasant stay in Buenos Aires. 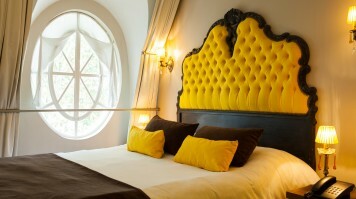 Fierro Hotel is an avant-garde hotel in the trendy Palermo district. Less than a five-minute walk from the subway, this hotel is well connected to the centre of Buenos Aires and the city’s major tourist attractions. Offering three styles of suites, each room of Fierro Hotel’s rooms is equipped with a coffee machine, flat-screen TV, and unlimited broadband. Spacious and luxurious, each suite gives guests ample room to work, relax and play. 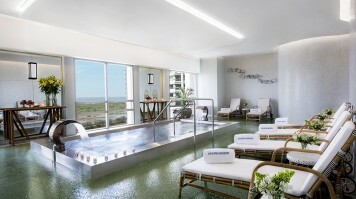 Enjoy the Fierro Hotel’s on-site spa that includes a sauna, swimming pool, and comfortable sun lounge chairs. Cap off a wonderful day in the city with a relaxing dip in the pool followed by a delectable dinner at the hotel’s Fierro Restaurant, where you can find local and international dishes and a variety of marvelous wines. 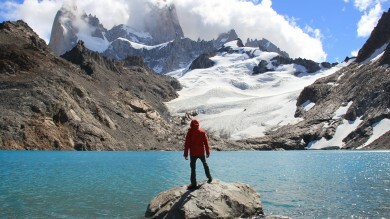 Caravan BA Boutique is one of the best options for budget travelers in Buenos Aires. Well positioned in the Palermo district, this property is close to the Plaza Italia and the brilliant Museum of Latin American Art of Buenos Aires MALBA. This property creates a fun and relaxing environment for guests. Boasting a seasonal outdoor pool, garden terrace and ping-pong table, this Buenos Aires accommodation is perfect for taking it easy and meeting fellow travelers. Each of its rooms has a private bathroom, comfortable beds and unlimited wifi. Perfect for couples, families and solo travelers, Caravan BA Boutique is the ideal base for travelers of all styles and budgets. 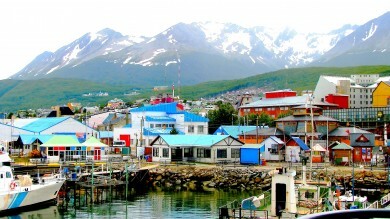 Buenos Aires is a very popular travel destination year-round, and it’s never too early to book your accommodations. As soon as you can, reserve your hotel to avoid disappointment and to get the best price possible. With your accommodations sorted, all you’ll have to do now is decided how you want to spend you time in vibrant and Buenos Aires.